How can I help Campaign Whale to protect whales? How can I learn more about whales? What threats are whales facing? Campaign Whale is an influential, non-profit organisation dedicated to protecting whales, dolphins and porpoises and their habitats. The organisation was established in 1980 and is managed by founding Director, Andy Ottaway, a well-respected leading expert in whale and dolphin protection. Campaign Whale benefits from the support of a number of long-term volunteers. 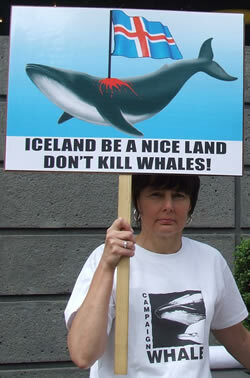 Campaign Whale is a non-profit organisation dedicated to protecting whales, dolphins, porpoises and their habitats.